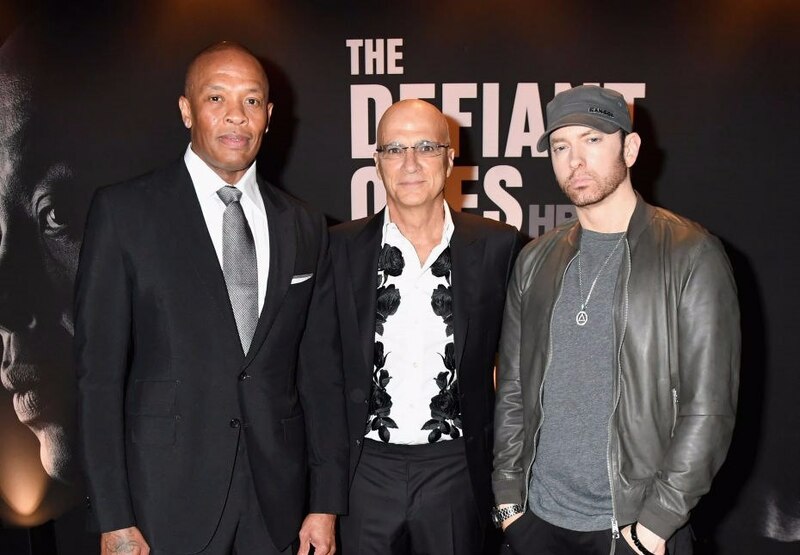 On June 22 Eminem attended the premiere of “The Defiant Ones” film in Los Angeles. 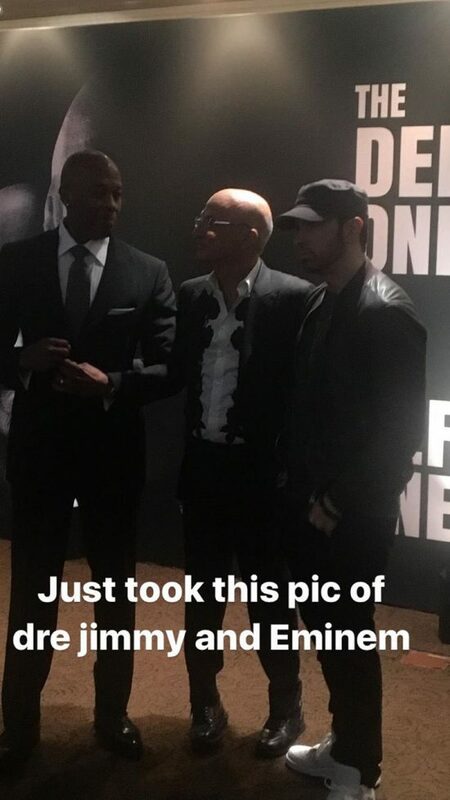 On the red carpet Em showed off his new beard. The Dr. Dre and Jimmy Iovine HBO documentary The Defiant Ones might have premiered on Thursday night, but it was Eminem’s debut of a new beard that really stole the show. 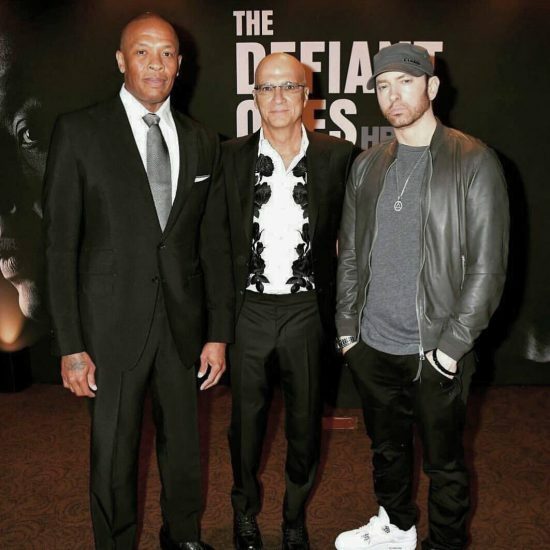 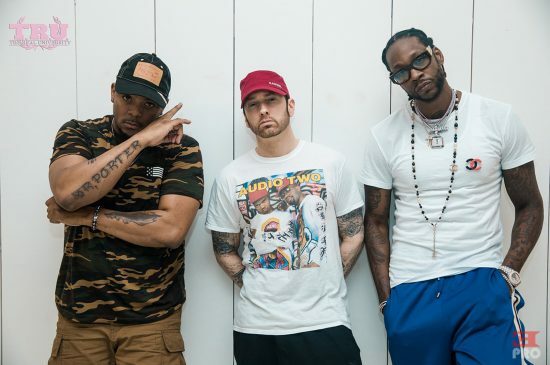 The “Lose Yourself” rapper reportedly avoided the red carpet, but his new facial hair was still revealed in the photo with Dre and Iovine above and in a photo with Dre and rapper Kendrick Lamar, which Em posted to his own Instagram account (below). 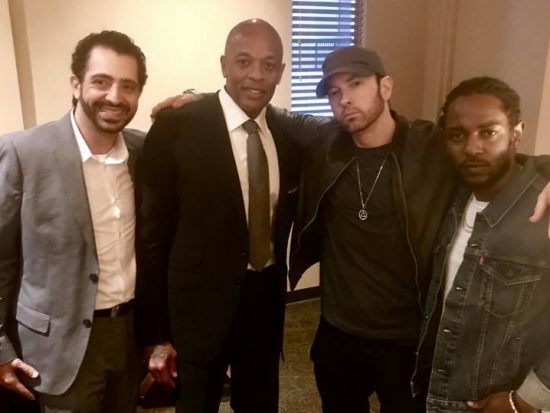 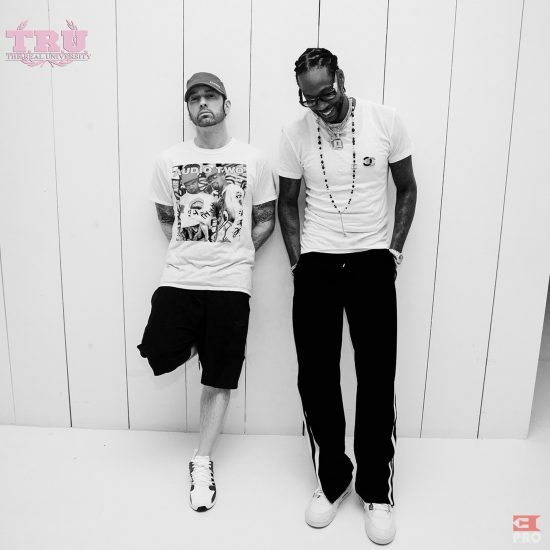 In the photo, the normally clean-shaven Slim Shady mugs for the camera, his arms around Dre and Lamar’s shoulders. 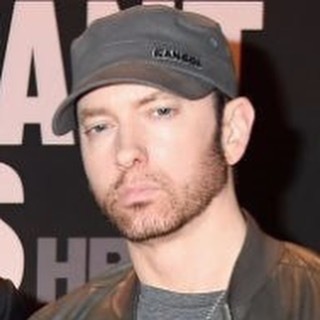 Wearing a cap and leather jacket, his jaw is prevalently tinged with scruffy ginger hair. 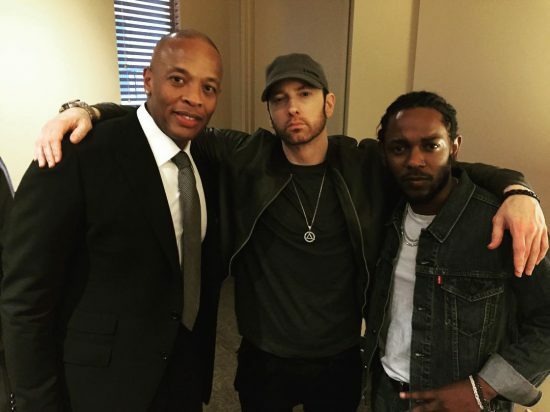 “Just a couple of guys from Compton and one from Detroit. 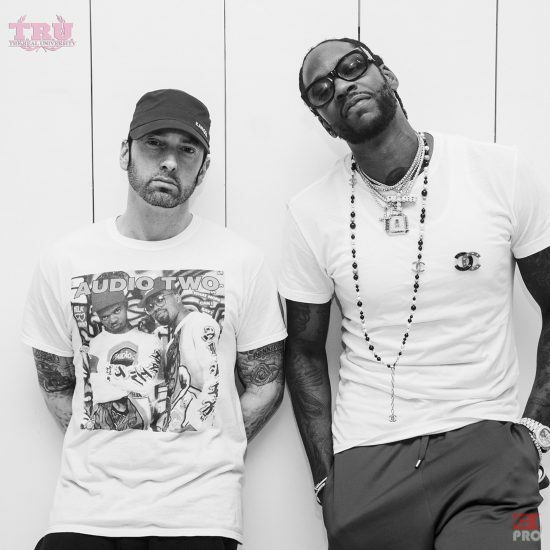 With a beard,” the cheeky caption reads.